1. Each noodle headband features 18 red mesh tubes and 30 red ribbons. Ribbons measurement: L14'', mesh tubes measurement: L16''. 2. 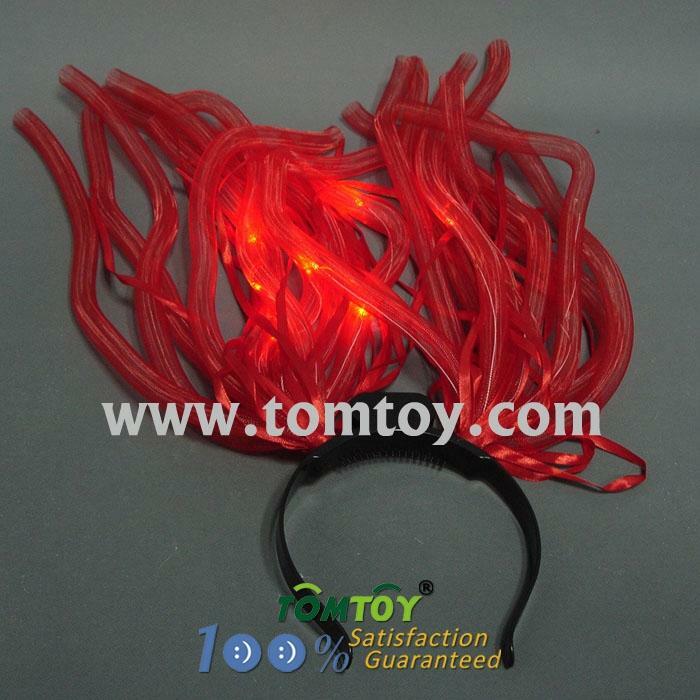 Features 12 flashing red LED lights within mesh tubes, 6 lights each strand. 3. Switch on the on/off button to start flashing, and switch off to turn off the flashing. 4. Includes replaceable non mercury batteries. 5. Makes an awesomely fun costume accessory for Birthdays, Halloweens, Concerts, Parties, New Year’s Eve Celebrations and any unforgettable event. 6. One size fits all, great for children up to adults.